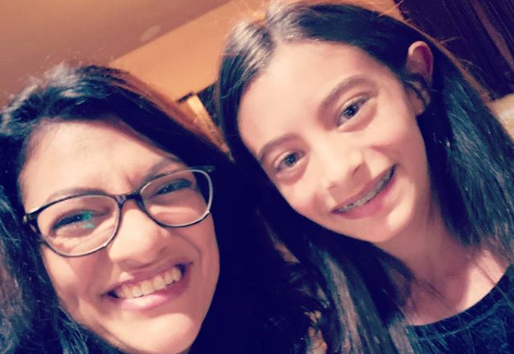 Newly-elected Member of Congress Rashida Tlaib is getting a lot of attention for her divisive language. Last week, she made headlines at an event in her honor, saying she would "impeach the motherf***er," in reference to President Donald Trump. In this video, she's seen encouraging a couple of young girls to disparage Trump as well. This video was from November, but is another preview of the kind of thing we might see from Tlaib in the future. Here, Tlaib says she "taught them what impeachment means" and assures them that she can "get rid of Trump" because she's a United States Congress Member. Outside of that making very little sense (one Member of Congress is clearly not able to impeach a President), it seems of little value to disrespect any sitting President in front of children in this way. While it is important to engage youth in the merits of democracy and civics, there is a way to do so without feeding them partisan talking points they aren't old enough to understand. Tlaib's approach to politics only feeds the fire of incivility and disrespect that is causing so much fury these days. I hope she rethinks this approach.